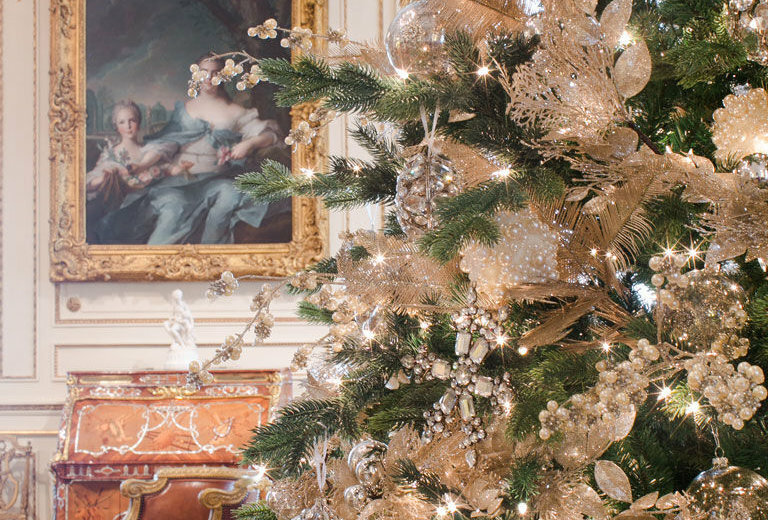 Festive Fabergé at Hillwood draws inspiration from Fabergé Rediscovered, on view through January 13, 2019, with resplendent Christmas trees and holiday decor throughout the estate. Hands-on workshops, guided holiday tours, and the annual Russian Winter Festival add to the Christmas grandeur. Treasures created by the firm of Peter Carl Fabergé (1846-1920) have inspired admiration and intrigue for over a century, both for their remarkable craftsmanship and the fascinating histories that surround them. Featuring over 100 objects, Fabergé Rediscovered unveils new discoveries relating to Hillwood’s own collection of Fabergé imperial Easter eggs and other famed works. The special exhibition displays the greatest examples from Hillwood’s Fabergé collection, left by Marjorie Merriweather Post for the benefit of future generations, along with important loans from other museums and private collections, including the Metropolitan Museum of Art, the Musée d’Orsay, the McFerrin Collection, the Edouard and Maurice Sandoz Foundation, and His Serene Highness Prince Albert II of Monaco. In furnishing her New York apartment, Post adopted a taste for 18th-century French style, which was the design trend of the day. The first Fabergé pieces she collected can be seen in the context of her new-found interest in French decorative art, particularly as they aligned with the criteria she developed for collecting: They were beautiful, finely crafted, and associated with royalty. Post bought Hillwood in 1955 and decided that her home would become a museum, planning displays of her works accordingly and continuing to add to her collection. She acquired Fabergé most assiduously in the 1960s. Among the nearly 90 pieces of Fabergé in Hillwood’s collection, highlights include two imperial Easter eggs; a bowenite clock designed by Fabergé’s chief silversmith, Julius Rappoport, modeled after an 18th-century English clock, which belonged to Nicholas II’s mother, Maria; a carnet, or notebook, with a miniature of the Empress Alexandra, possibly made at the time of her engagement in 1894; and a music box once belonging to the Yusupov family, considered to be one of the finest examples of Fabergé enameling. The remarkable beauty of Fabergé Rediscovered adds a luxurious touch to the mansion and the visitor center, taking cues from five pieces created by the firm of Fabergé. The delicate pinks and shimmering diamonds of the Catherine the Great Egg inspires the entry hall through a tree of live flowers and glittering gold. A tree recalling the unique Fabergé table clock complements the cool hues of the pavilion, featuring silk, silver-leafed branches that reference the clock’s ornate curves. The French drawing room espouses the brilliance of the gold octagonal Fabergé box topped by a Russian double-headed eagle, with a tree ornamented with gold and diamond garlands, harkening to the box’s elegant design. The tree in the dining room recalls the sumptuous colors and unique forms of the leaf-shaped box, with garlands evoking the box’s gold foliage and ornaments of dark read and green. Deep blue and rich gold shine throughout the visitor center, inspired by the sparkling embellishments of the Twelve Monogram Egg. The five trees reflect the opulence of Fabergé Rediscovered with jeweled ornaments, live flowers, permanent botanicals, and other brilliant treasures.